Parents want their children to grow healthy and strong. However, this is not as easy as it sounds. Food is an important factor for healthy growth. Many children are picky eaters. Most of them do not like to try new foods. Some do not seem to even have an appetite. Then, there are the outside influences and temptations. What are parents to do? Maybe, you can try these 5 ways to get your children to eat healthy. Children will often follow what they see their parents do so, use this to get them to eat what’s good for them. Make sure you eat a healthy diet as you encourage them to do the same. No lectures or debates required. At the table, let them see that you all have the same foods and eat up yours. If you eat as if your plate is filled with gourmet tidbits, even better. When you are not at the table, choose healthy snacks. Make sure these are readily available, so it’s easy for your children to choose them too. Don’t be always on some diet. This may send a wrong message to your children making them think this is a normal thing. Hopefully, your example will produce a lifetime of healthy eating habits for your children. For success in anything, especially when it is ways to get your children to eat more healthy, planning is important and eating is no different. Plan your menus ahead of time. How far ahead you plan depends on you but do plan. That way you can shop for the ingredients of the meals you require. Get your children to help you shop and pick out the healthy foods they would like to eat or try for the first time. They are more likely to eat what they pick so guide their choice but don’t choose for them. Planned meals help you to ensure that your children are getting foods from all the important food groups. In this fast-paced world, it is easy to slip up on meals by just throwing together what you can find at the time. You control the foods that come into your house so you can control what your children eat at home. Buy healthy, tasty snacks and leave them in plain sight. Have a bowl of fruit on the dining table or the countertop. There are naturally sweet dried fruits for those children with a sweet tooth. Make your own chips roasted in the oven with a little oil instead of the store-bought kind. Keep cut-up crunchy vegetables in a transparent container at the front of the fridge. Children usually eat what’s available, so make sure the healthy foods are ready at hand. When you go out, carry healthy snacks and sandwiches so, you may not be forced to eat what is available and maybe, not as healthy as you would like. When children get in the habit of eating healthy at home, they are more likely to do so away from home where you have little control. Do not divide food into good and bad categories. Steer your children away from unhealthy foods by providing healthier alternatives. Do not totally deprive them of the less healthy foods, thus making them forbidden and desirable. Allow them to indulge from time to time and in moderation. Make them rare treats but not rewards. Discuss with your children and do some taste tests. You will find out your children’s likes and dislikes. Serve the healthy foods they like more often. Then when you serve the less liked ones, give them cutesy names to entice the children or carefully hide them in other foods. You can make them into soups or grate them into salads. Remember that being creative is a great way to get your children to eat more healthy. Let the children help with the meals. You could start at the supermarket where they can help you pick out the produce. Then, when it’s time to prepare the meals, you can give them tasks appropriate to their age group. You may even grow a vegetable garden and teach them about the benefits of each vegetable in a fun and productive way. They are more likely to eat the food they had a vested interest in preparing. There is also the added benefit of their learning to cook as they grow older. Getting your children to eat the foods can be a difficult task but a very important one. Parents need to be creative and wise in their efforts to raise well-nourished children. Often you have to be downright sneaky but the end result will justify the means. 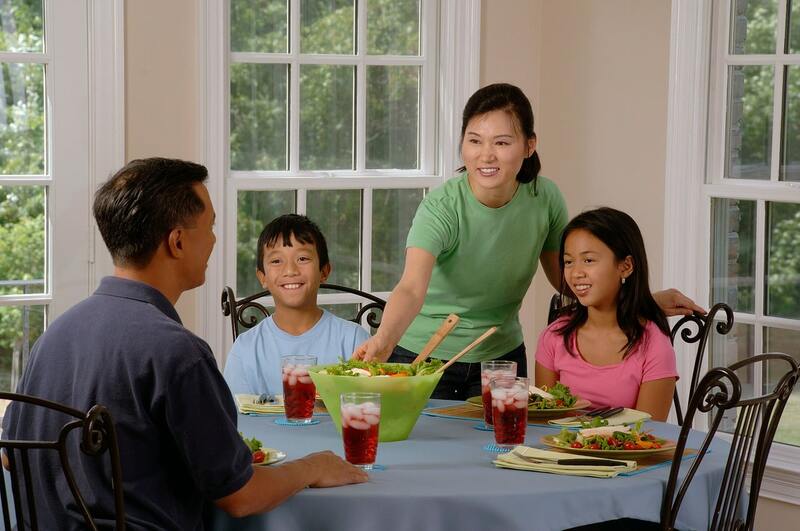 What are some of the ways you use to get your children to eat healthy meals? Check out our free mini-course, which teaches you, among other things, how to balance being a boss and mother and a lover. Please feel free to share your thoughts in the comment section. Thank you for reading.